People take advantage of the extra space from Self Storage in Welshpool from Welshpool Self Storage for a variety of reasons. Whether they’re about to move into a new home, they’re decluttering their belongings, or they’re in the middle of a renovation, storage units are perfect for keeping their possessions safe. The high security of Welshpool Self Storage makes it an ideal location to store your electronics, but make sure you follow these tips to keep them in great condition. Make sure you go through all your electronics and remove the batteries from each device and remote control. Doing so will protect your electronics from potential battery corrosion. If you’re keeping the batteries for later use, make sure you store them separately and don’t allow the terminals to come in contact with each other. This is particularly important, because improperly stored batteries can potentially start fires. You’ll also need to check the slots and trays of each device and remove any disks, tapes, DVDs, CDs, or cartridges. These could become stuck in place if left in the machine for a significant period of time, and could also be damaged in transit. Put all of these items back into the original protective casing. When you’re preparing to transport your electronics into storage in Welshpool, you need to take some precautions to protect everything. Smaller items, such as smart phones, cameras, and alarm clocks, can especially be damaged in transit. Store your electronics in padded boxes for protection. If you have the original packaging, use it. These boxes were specifically designed to protect the more fragile areas of your devices. If you’re moving particularly large devices into Welshpool Self Storage, you can invest in some moving pads to protect them during transit. Cover larger items with dust covers once you’ve placed them in your storage unit. Welshpool Self Storage is a completely secure facility. The facility is protected with 24/7 CCTV video surveillance and each storage unit is individually locked. You can rest easy knowing your belongings are entirely safe in your storage unit; however, you should still organise insurance for your high-value items. When you first move into your storage unit, cover the floor in wooden pallets. This will prevent your electronics from being stored on the floor and give them further protection in the unlikely event of water leaking into your unit. If you’re ready to start moving your electronics into your storage unit, make sure you follow these tips to give your devices as much protection as possible. If you’d like to learn more about your storage options, contact the team of professionals at Welshpool Self Storage today. 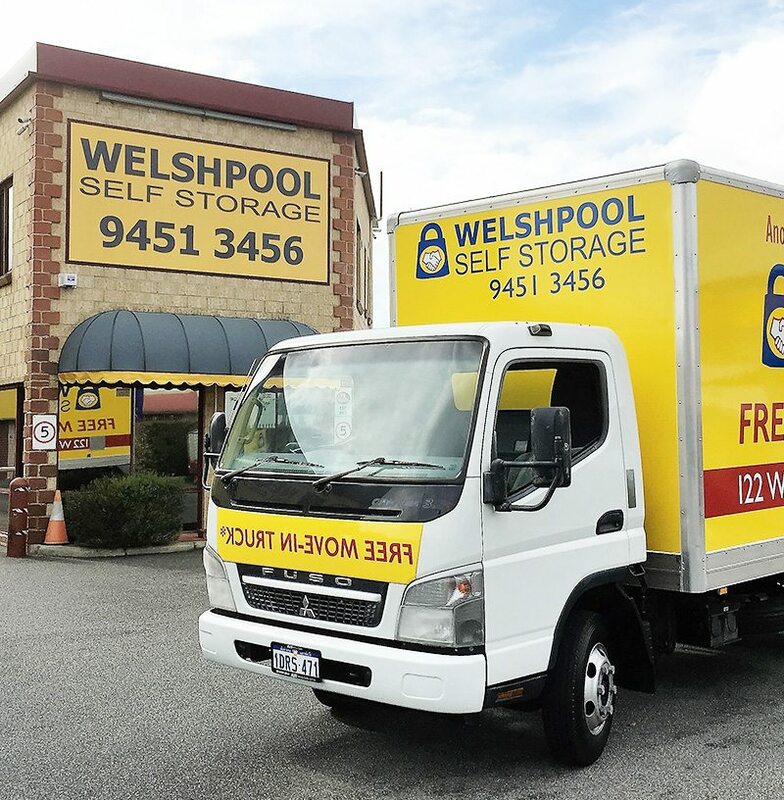 Self Storage is easy at Welshpool Self Storage and our team members are waiting to offer professional and confidential advice based on years of experience in the industry. We understand the different circumstances which create the need for storage and we're here to help. Call us now or Get a Quote.